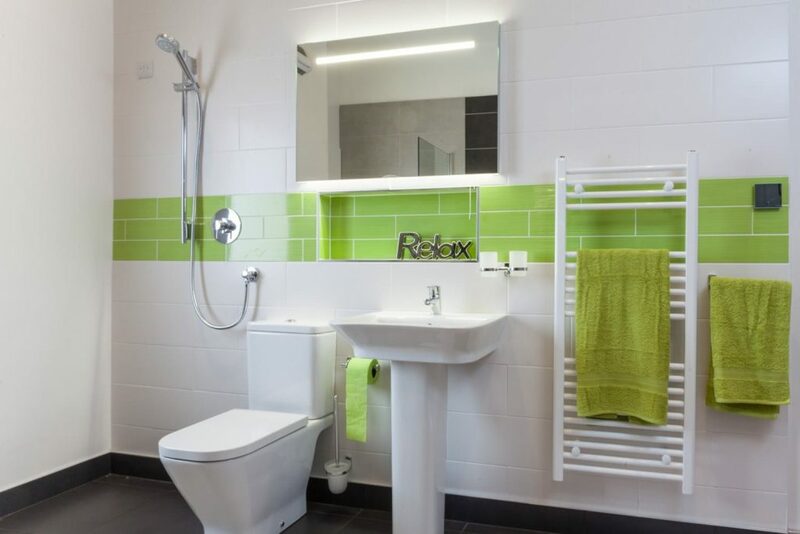 With so much choice available now for your bathroom it can be so confusing finding the right tile to match the look you are going for. it was much easier years ago selecting tiles for our bathroom, there was a very limited choice. Now there are hundreds of ranges to choose from it’s so difficult. 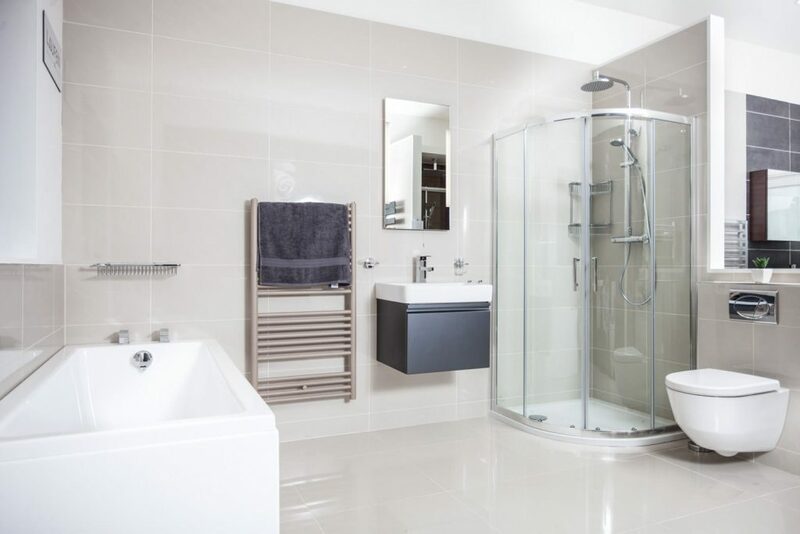 These customers are 100% right as fantastic as it is having a huge selection of tiles and bathroom suites available it can be difficult choosing the right products for your bathroom design. 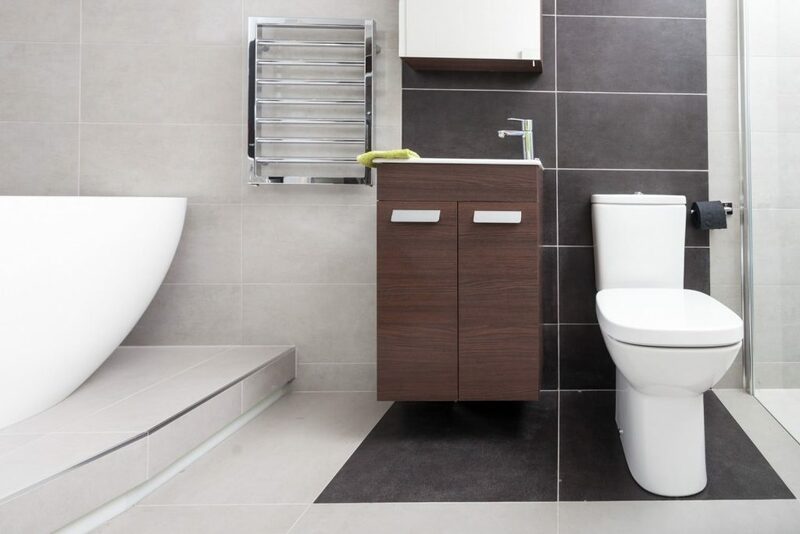 My number one tip is to spend a bit of time on the internet looking for bathroom tile ideas to get an idea of the bathroom style you are looking for. Once you have selected the style you are looking for whether it’s Modern or Traditional. You can then narrow it down to the particular colour. Bathroom Tile Ideas : Save images of bathrooms and take them with you when visiting Bathroom & Tile Showrooms. 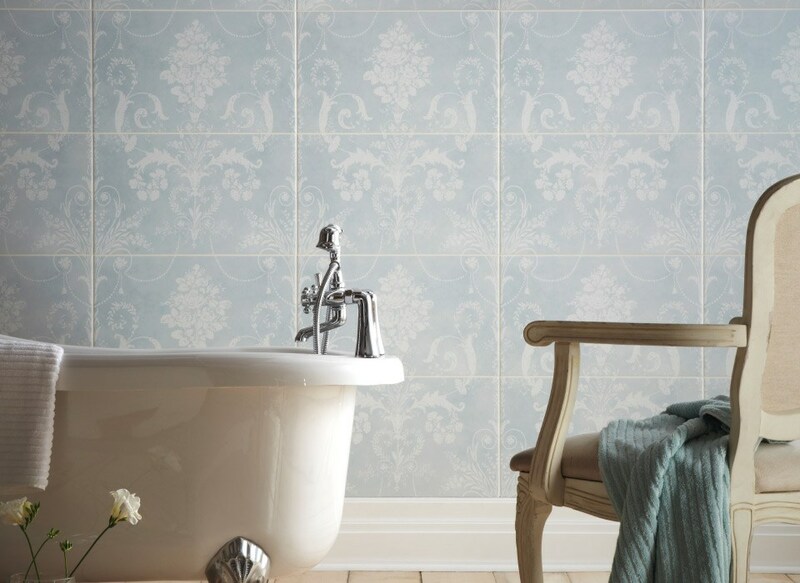 Here’s a selection of our bathroom tiling ideas. If your looking for some bold colour in your bathroom think of using a feature tile. 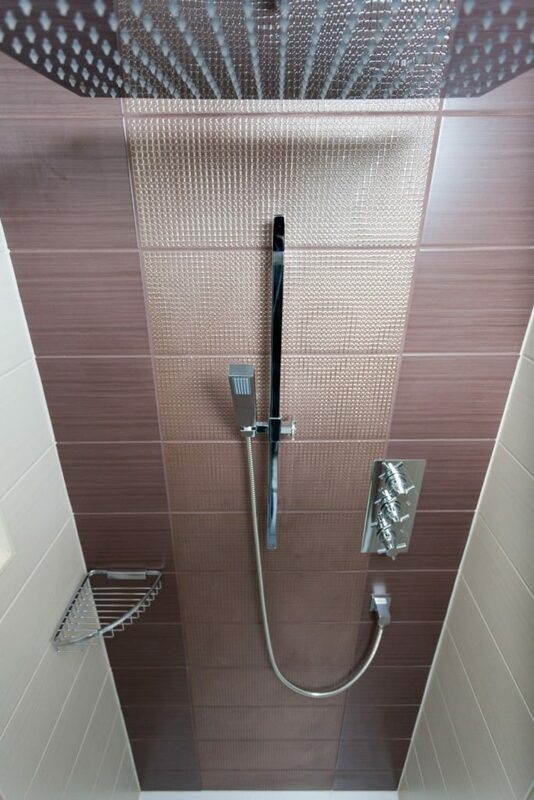 This Vitra Dream beige bathroom tile is broken up with a Vitra Dream brown feature running up the back of the shower. 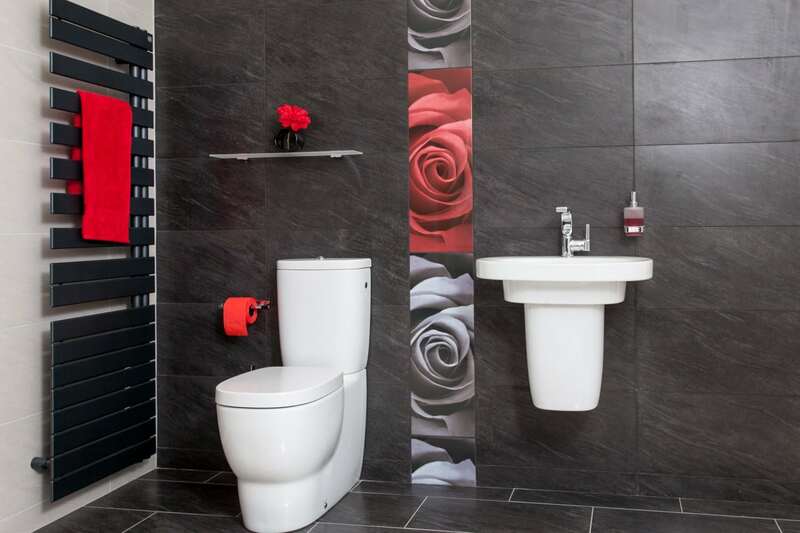 This is one of our own ranges of tile Nero Nabbia & Nero Castello Roccia broken up with a floral feature tile a great tiling idea for a modern bathroom. Don’t be afraid in using the same tiles on the wall & floor. It gives a bathroom a really sleek contemporary look. They will look slightly different as the light hits them at different angles. Bathroom Tile Ideas : When using the same tile on the wall & floor break it up with using a larger format on the wall and the smaller one on the wall. 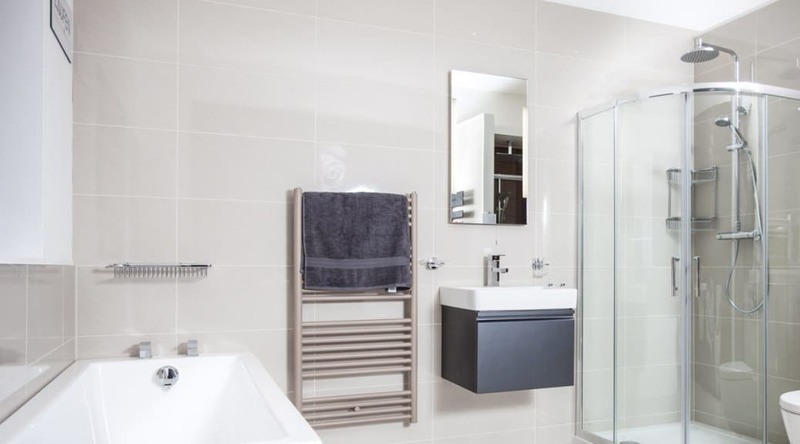 Grey tiles in a bathroom are really on-trend at the moment. They look great broken up with a feature.